and available for next day delivery or collection. We have over 60,000 carpet tiles in stock most of the time, with prices as low as 25p per tile! We are constantly adding tiles daily, so be sure to check back regularly. Come and collect your used carpet tiles in your car, van or trailer and we will load you up! Alternatively, we can deliver nationwide via pallet from only £47! Used Carpet Tiles have thousands of used carpet floor tiles in stock available for next day delivery or collection. 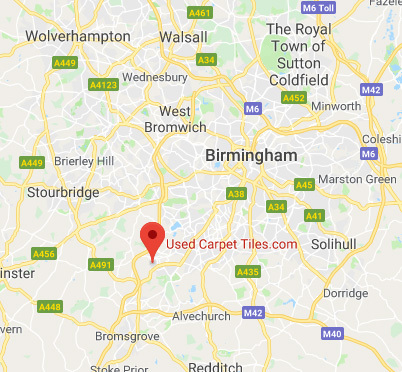 Just off Junction 4 on the M5 South Birmingham, we have a large range of different colours and quality used carpet tiles. Prices start from as low as 25p a tile on C grade tiles. Everyone of our recycled carpet tiles are sorted and graded very carefully, ensuring you can buy with confidence. We save carpet tiles from landfill and at the same time, we save our customers an absolute fortune with our cheap carpet tiles. We have top brand used carpet tiles from £1 upwards (Interface, Milliken, Desso, Burmatex Heckmondwik Paragon). Please feel free to give us a call on 0800 014 8591 to arrange a time to come over and see what we have on offer. Should you have used carpet tiles you want to sell, recycle or do a deal on an exchange basis please get in touch by clicking here or via email, phone. Come and Collect! Yes, you can buy tiles from us online or over the telephone but if you’re local and can take the time, we welcome customers to our warehouse to browse stock and get a feel for what we are selling. We have thousands of tiles in stock and we are constantly adding to our levels. It doesn’t matter how big or small your area is, you will make HUGE savings shopping with us! 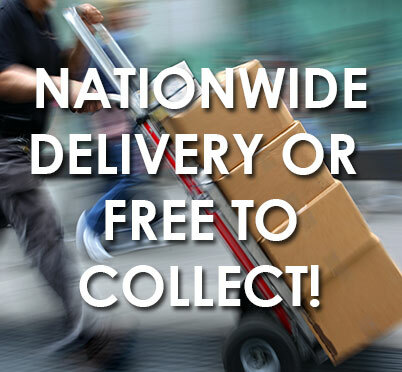 You can purchase online and get delivery directly to your door Nationwide. Alternatively, our warehouse is open to the public, so you can order online or by phone and collect in person. 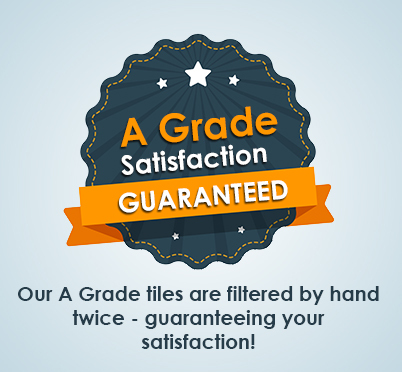 Our “A” Grade tiles are DOUBLE filtered! We are not just an ‘add to cart’ company. When you require practical, hands on advice and a personal touch – we’re here to help. We started life as a traditional ‘bricks and mortar’ family run business, where a personal, customer service was the main ingredient to success. We’re still a family run business and we’re still delivering the same level of customer service we’ve had for the last 3 decades. We have staff ready and waiting to take your call. Call us on: 0800 0148 591 and let’s do a deal. Delivery charges start at £10 and pallet costs are based on your postcode and location. Please call 0800 014 8591 for more info. Or feel free to come and collect direct for a great deal.